It�s a classic! This simple but elegant over-the-door Christmas wreath hanger is perfect for displaying one of our gorgeous Christmas wreaths on your front door. 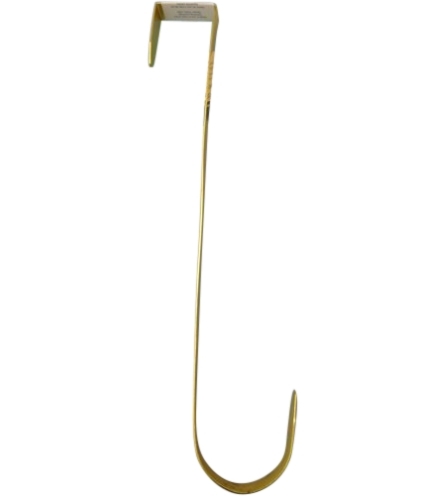 Finished in a shiny brass color, it is strong and made to last and the price is right too.